“Mr. Darcy” must be said with an English Accent. So many fab literary women to cover, I may do this again next spring. 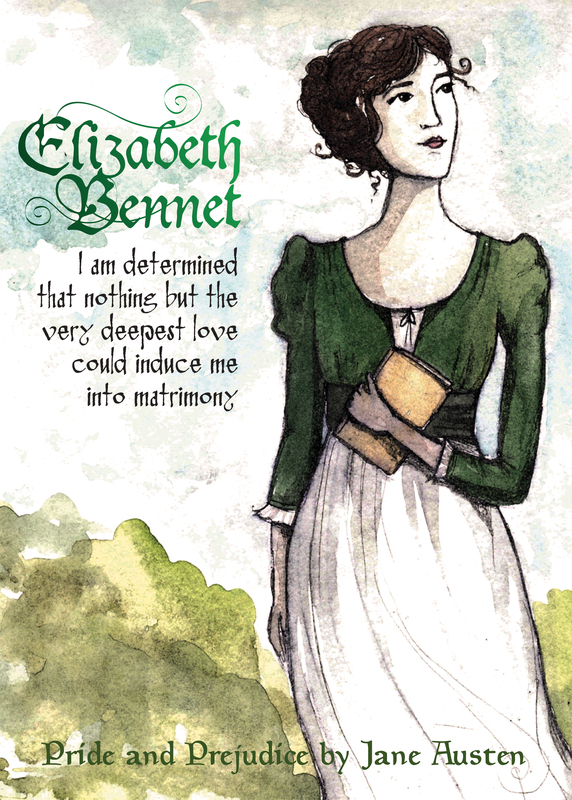 Next up- Elizabeth Bennet. She is one of the most beloved characters in literature. The star of Jane Austen’s Pride and Prejudice is smart, playful, clever, honest, quick-witted, and sharp-tongued- Her obstacles and inner battles, as well as family issues and dealings with snobby social circles still resonate in today’s world. NO idea why I love her so much, lol.